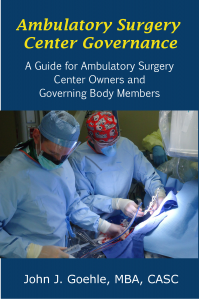 Ambulatory Healthcare Strategies, LLC is one of the nation’s leading regulatory and financial consulting organizations for the Ambulatory Surgery (ASC) and Office-Based Surgery industry. 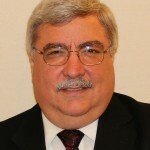 John Goehle and his team of regulatory and financial experts provide a wide range of outsourced services to meet the administrative, regulatory and financial needs of your organization. 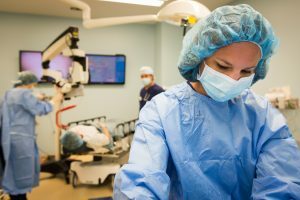 AHS provides “oversight” services and is not a management company, but we provide many of the same services that a traditional management company provides. Our costs are a fraction of what a management company charges and we don’t take ownership. Most of our fees are on a retainer basis with a fixed monthly fee. 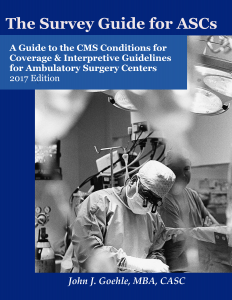 Ambulatory Healthcare Strategies provides a unique business model – totally focused on what your organization’s needs – not on a “cookie cutter” approach to outsourced services. Our business model provides a variety of outsourced service offerings ranging from one-time consulting services up to on-going retainer-based oversight services. Most importantly, our service is personal, professional and timely. Our monthly fixed retainer-based Regulatory & Accreditation Oversight and Financial Oversight Services are unique to the industry and can often replace existing management company services for a fraction of the cost. Our Services are geared specifically to the needs of your organization and the monthly fixed retainer fee is based on the services that you request. We do not require long-term contracts and our low overhead assures our fees are considerably less than the same services provided by a management company. On-going text, email and phone access to our staff 24/7. 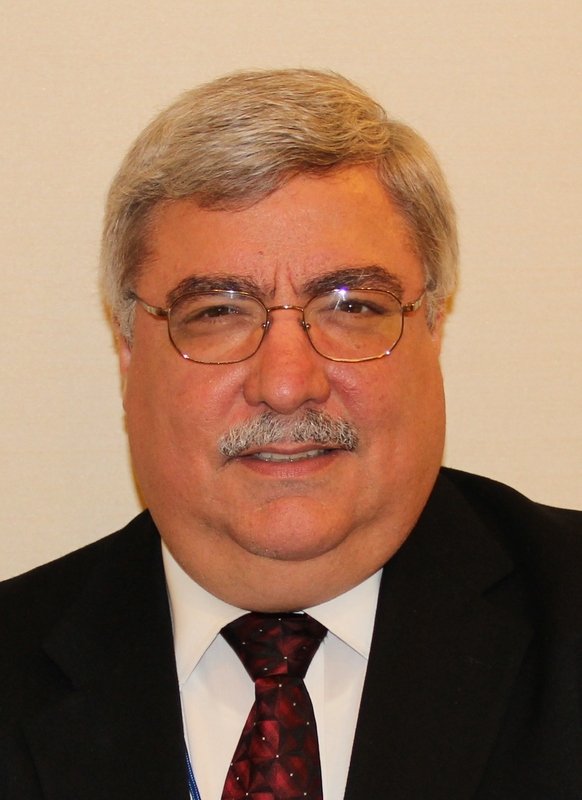 John Goehle is one of the nation’s leading Ambulatory Surgery Center experts. 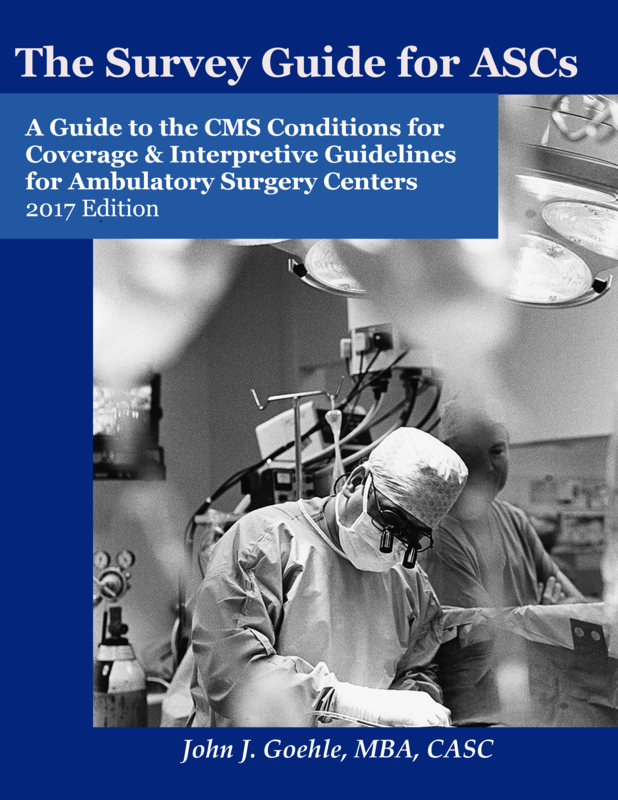 He has written eight books on the industry, including “The Survey Guide for ASCs – A Guide to the CMS Conditions for Coverage and Interpretive Guidelines for Ambulatory Surgery Centers”. He is also a frequent speaker at ASC Conferences. For more information or to request a confidential consultation, please contact him at 585-594-1167 or by email. 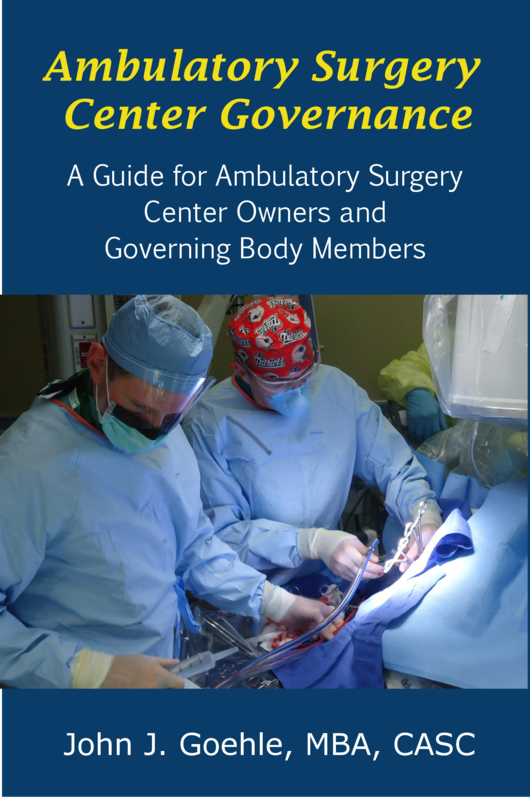 Ambulatory Surgery Center administrators are faced on a daily basis with assuring that their facility complies with a wide-range of rules, regulations and standards. Now through a series of new books, by John Goehle, Administrators can keep current with the most current regulations. To see more information about books currently available, visit our bookstore.